Can I install Whatsapp Messenger on my Tablet ? Yes, sure ! Depending on your Operating system (Android, iOs or Windows phone) you can easily install Whatsapp on any tablet like the iPad (Air), Samsung Galaxy tab, HUDL, iPod or even Ubislate tablet. Just go to the Google Play or iTune store , then download and install Whatsapp as you would normally do on your mobile phone. Can I use whatsapp on my PC (Windows/Linux) or MAC ? Yes, absolutely. But that require some additional step. If you have a Pc desktop you must first intall the Bluestacks or Youweb Android emulator. A quicker and easier alternative is to first download and install Chrome browser on your pc, then open this page, pull up the Web QR code scanner, scan the QR code and the conversations will immediately start . If you have a Pc with Windows Os click here. If you have a Pc with Linux click here. Or if you have an Apple iOs read this: Whatsapp for Mac tutorial. If you own a Laptop click here or a Macbook Air or Pro click here. 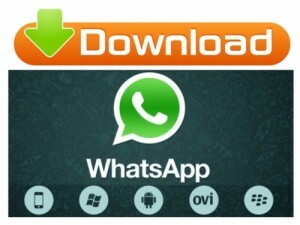 For more FAQ & Tips about Whatsapp read this page or visit the the “How to” section of this site. But if you already Love Whatsapp and want a “special surprise”, then click here. Enjoy !